The esophagus is the narrowest part of the alimentary canal. The alimentary canal is a single continuous tube that includes the oral cavity, pharynx, esophagus, stomach, small intestine, and large intestine. After food is chewed, made into a bolus, and swallowed, the action of the epiglottis routes the bolus into the esophagus. From there, peristaltic waves propel ingested foodstuffs through the alimentary canal. The respiratory and digestive systems share structures in the back of the oral cavity that connect with both the trachea (of the respiratory system) and the esophagus (of the digestive system). What prevents swallowed food from “going down the wrong pipe”? With each swallow a structure called the epiglottis closes over respiratory structures. 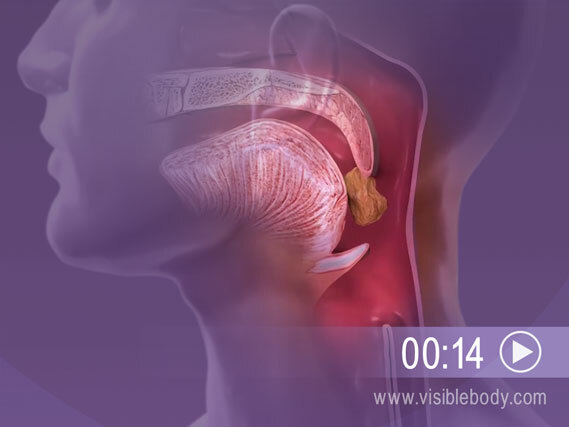 The swallowed bolus stays on course and is directed toward the esophagus. One peristaltic wave can be enough to move a bolus down the esophagus and into the stomach. The walls of the alimentary canal include layers of smooth muscle controlled by the autonomic nervous system. Alternating contraction and relaxation of these muscles is called peristalsis. Peristaltic waves push the swallowed bolus down the esophagus. In the stomach, peristalsis churns swallowed food, mixing it with gastric juices. These mechanical and chemical actions further break down food into a substance called chyme. 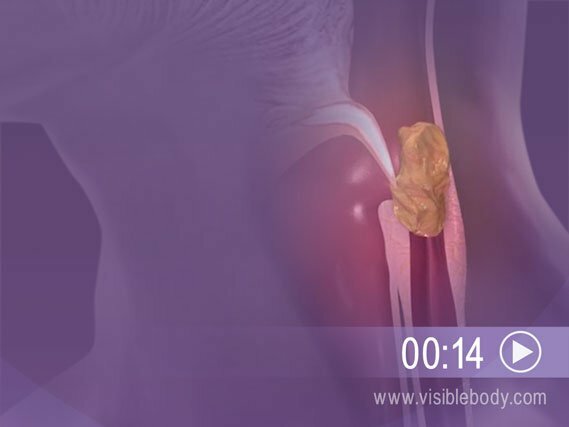 It takes about a minute to chew a piece of food into a bolus and a few seconds to swallow it. Once in the stomach foodstuffs take a few hours to become chyme. 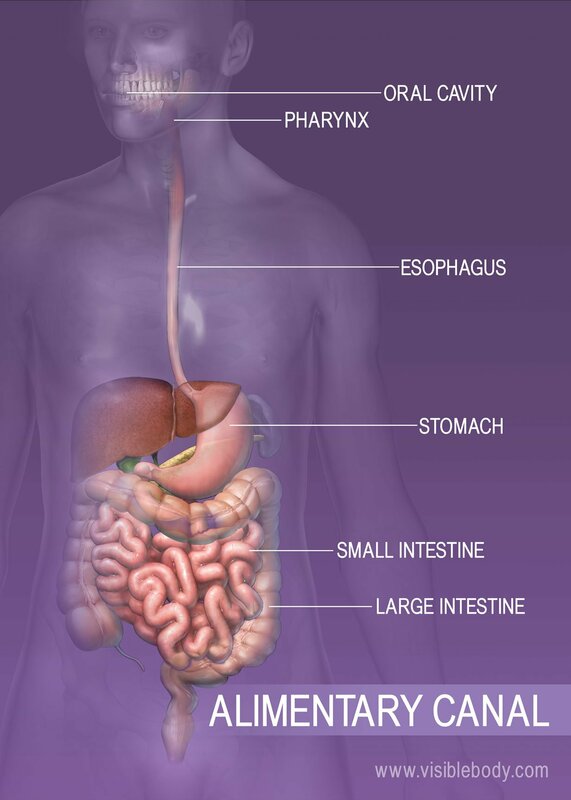 Most nutrient absorption from the foods we eat occurs in the small intestine. When chyme passes from the stomach into the small intestine, peristaltic waves shift it back and forth and mix it with digestive enzymes and fluids. Nutrients from the chyme are absorbed into the bloodstream through the intestinal walls Peristaltic waves in the small intestine are smaller and more regular, pushing the chyme for 3 to 6 hours before passing it to the large intestine where any final absorption takes place. Peristaltic waves help compact and move waste and indigestible foodstuffs through the large intestine for elimination. Microbes and You from The Science Creative Quarterly. A cadaver image of the epiglottis from Stony Brook University School of Medicine. The Body Online.